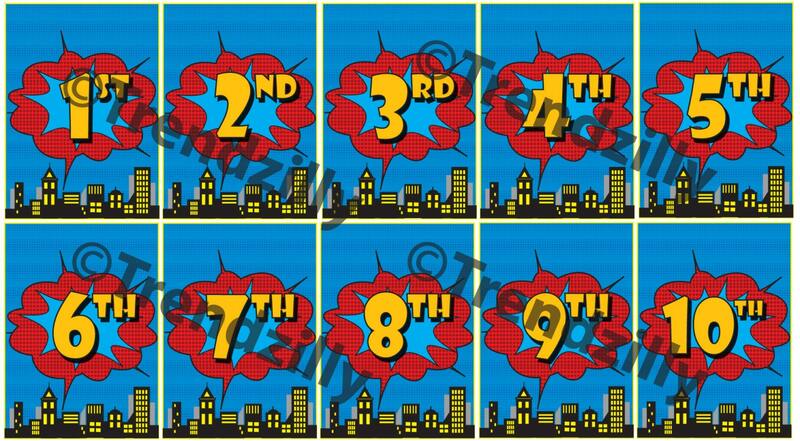 Superhero Birthday Banner Number Add-On, Comic Book Party, Superhero Party, City Scape, Printable Instant download. Superhero Happy Birthday Banner Number Add-On printable. Each piece is 5"x7" with the numbers being about 2 1/4" tall. Goes with Superhero cupcake wrappers found here: https://www.etsy.com/listing/192459030/superhero-cityscape-cupcake-wrappers?